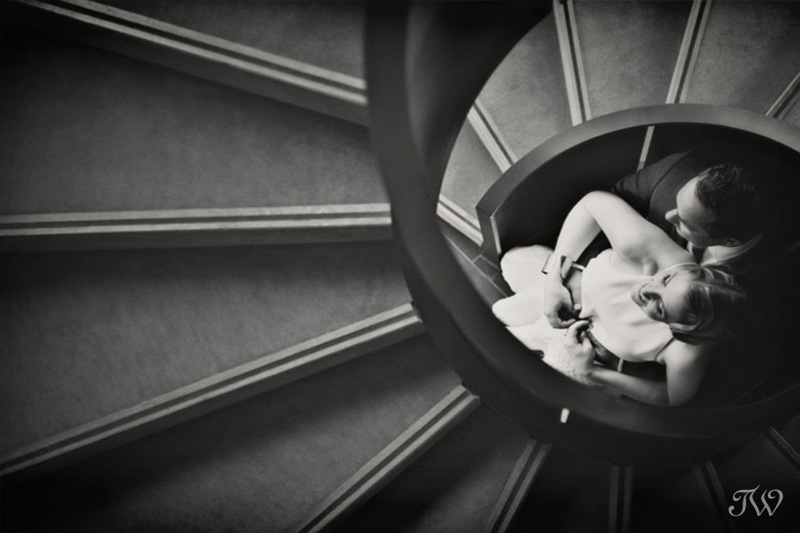 Not long ago, I was thrilled to get a phone call from a writer for Avenue Magazine saying that I’m being included an article featuring 5 Calgary wedding photographers. I saw the article today and I’m so flattered to be included in a list with these great photographers. Thank you Avenue for this perfect end to 2014! It was a treat to work with Avenue Magazine on a few projects this year. Here’s a “be my bridesmaid” brunch that was published online this summer, if you’d like to see. Remember Katherine & Tyler’s shoot celebrating their second anniversary? I had a little trick up my sleeve that evening in Ramsay. 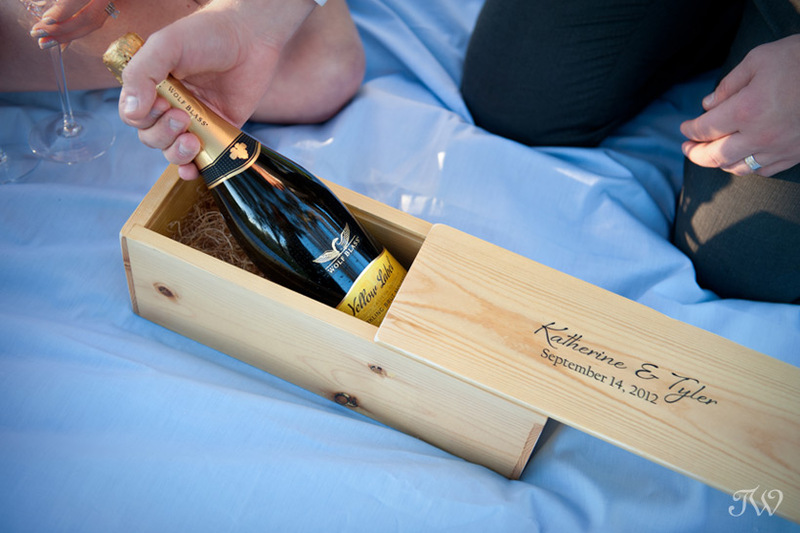 Naturally Chic, based out of Canmore, designs custom wine boxes and they created a gift to help Katherine with their celebratory toast. These boxes are made mainly from reclaimed wood from construction projects (spruce, pine or fir) and can be made to any specification. Wouldn’t this make a fantastic wedding gift, filled with a bottle of bubbly to pop open on your anniversary? 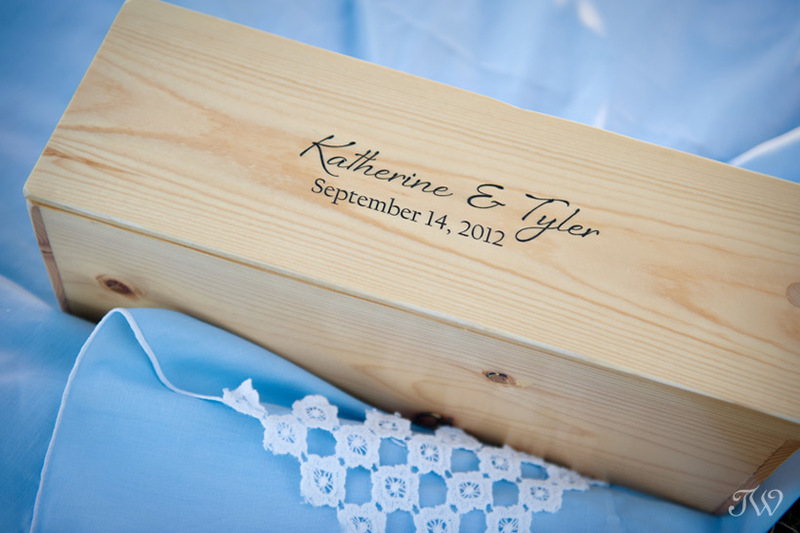 Take a look at Naturally Chic’s online boutique for more unique wedding gift ideas. On a side note, Sharon recently launched a brand, new wedding blog called Canadian Mountain Chic. Be sure to pop over there for some mountain wedding goodness. This wasn’t the first time I’ve worked with Sharon from Naturally Chic. Here’s a surprise Banff proposal, if you’d like to see. I hope you had a wonderful Christmas holiday. Are you all set for New Year’s Eve? Here’s some fuchsia party shoes from a holiday shoot with Adorn Boutique to get you in the mood. 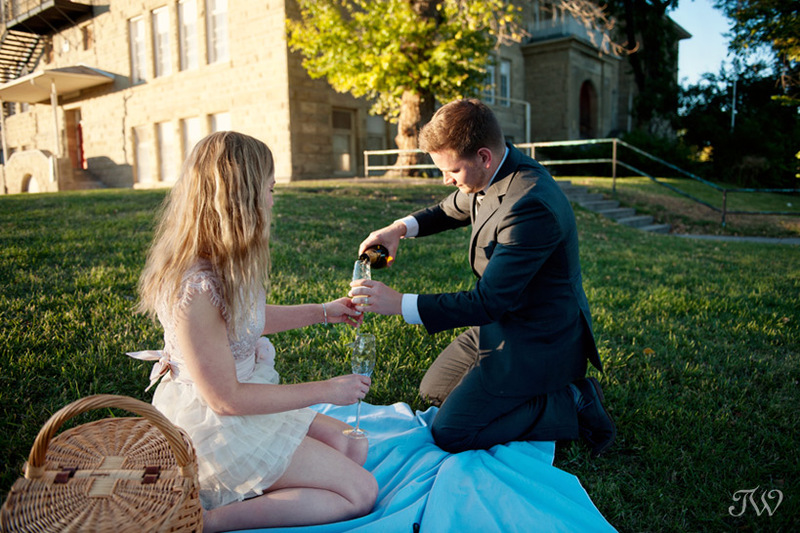 Are you newly engaged? Wouldn’t these metallic, strappy shoes be perfect with a wedding dress? 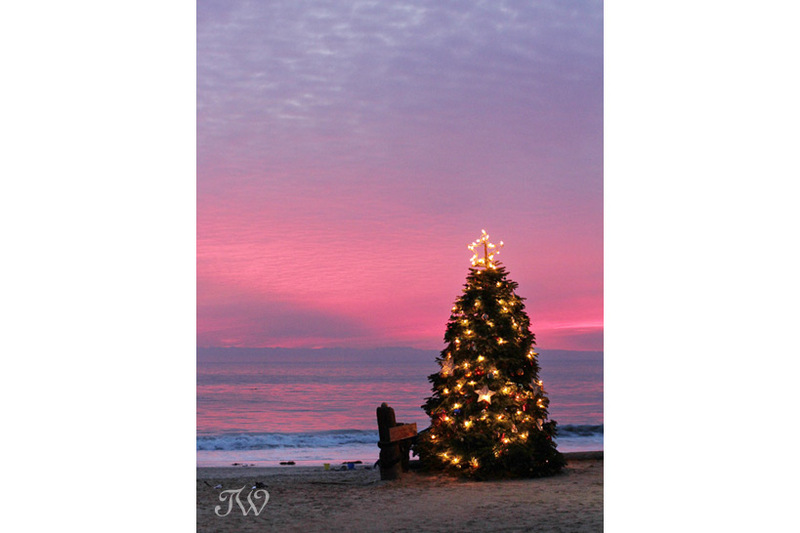 A Merry Christmas to all from Tara Whittaker Photography. 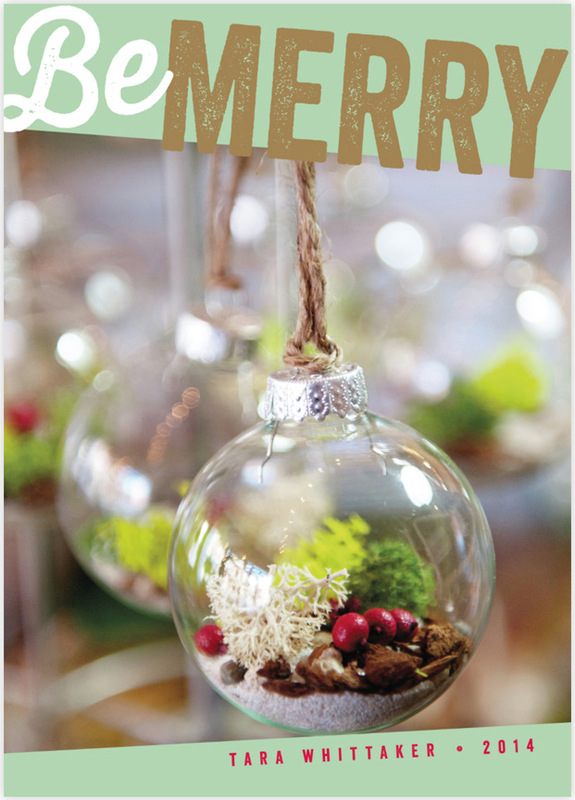 Christmas ball terrariums from Plant in Inglewood. I hope you’re cozy and warm this Christmas eve. The day is approaching fast and are you still wondering what to wear to a Christmas party? Maybe New Year’s has you stumped?? Not long I did a festive holiday shoot for Adorn Boutique in Inglewood including pieces from Loren Hope, Space 46 and NoaNoa. 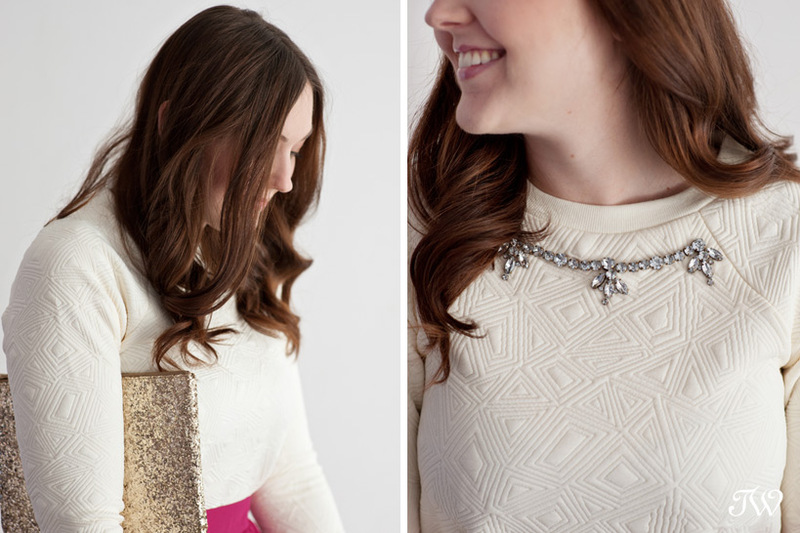 Pop over to Adorn’s blog for all of the details on this first look, perfect for ringing in the New Year. PS: I hear Adorn is having a big sale! Adorn’s owner Kari, shares all of the details from this pretty combination. Last but not least, another holiday inspiration outfit from Adorn. 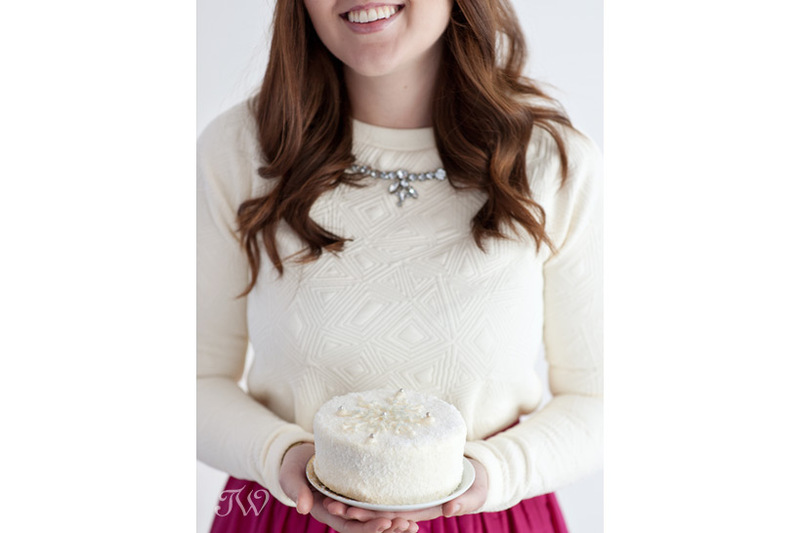 Here’s the fall/winter look book that I photographed for Adorn Boutique, if you’d like to see.